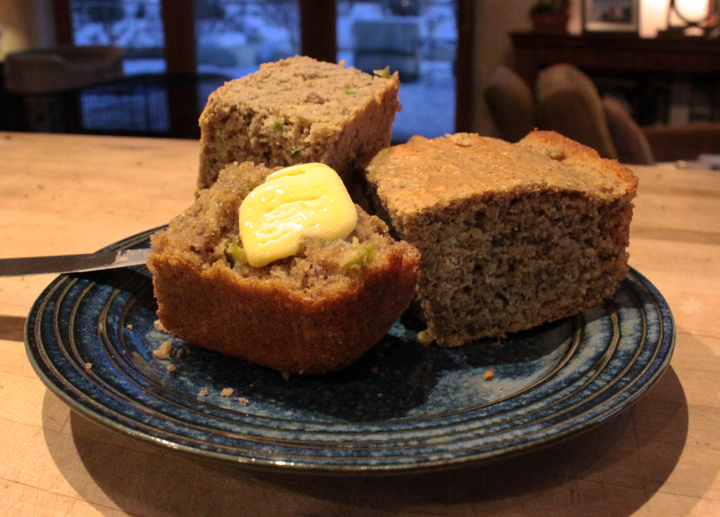 In honor of the Superbowl, I made this gluten-free cornbread with blue corn meal and teff flour. It turned out so much better than expected! Perfect, light & tasty. Not all gluten-free experiments turn out this well the first time around. SCORE! Mix the first three ingredients in a bowl with a cover, soak covered overnight at room temperature. Add remaining ingredients and mix well. Grease a 8″ x 8″ baking dish and bake for 25 minutes at 425. Cool for at least a few minutes before digging in (10 if you can wait that long).